If your company is like most, homespun software applications permeate the organization. And chances are, the majority of these applications are running on outdated architecture. But don’t dismay: Re-architecting those applications on a microservices foundation isn’t nearly as daunting as it sounds. However, as you begin the platform modernization process, there are some important steps you must take to ensure that your in-house software dev team is ready and able to make the jump. Your goal in moving to microservices should be to empower your team to create work that they are proud to claim as their own. If they are proud of their work, chances are you will be as well, and your customers (and profit margins) will reap the benefits. Offering access to the right tools and education programs as well as building a collaborative and constructive work environment are the correct first steps. Set your team up for success by identifying and communicating team expectations early and develop a communication loop that encompasses fast and frequent feedback. Here’s a step-by-step outline to modernizing your applications. These are best practices gleaned from real-world client experiences. In microservices, you actually want your team’s heads in the clouds. One of the primary benefits of platform modernization is the ability to leverage and integrate with cloud-based tools. Lucky for you, all the major cloud providers offer comprehensive online training programs and certification courses, so no matter which provider you choose—Amazon Web Services, Microsoft Azure or Google Cloud Platform—your team will have education options. These resources cover high-level information about the cloud platform and its services and offer more in-depth courses at the architect and developer levels. The breadth and depth of these programs will ensure that everyone on your team is well-equipped to work within these new platforms. Modernizing a legacy application is an ideal opportunity for your team to expand its skill set. Specifically, we recommend your team members invest their time and training in two key areas: learning new coding languages and taking advantage of new DevOps tools. But, you might say, “My developers can already code … why do they need to learn new languages?” Well, when you are operating in a microservices environment, each service could be written in a unique coding language depending on which language best supports the feature of that service. Isolated knowledge can hinder progress and delay problem resolution. Developers with a multi-stack knowledge base will prove more versatile and invaluable as you roll out your new application. It is also important that you train your team on the latest tools in the DevOps toolchain. Knowing when and how to leverage these tools will enable your team to prevent issues or resolve them quickly. So we know that microservices tend to be written in multiple languages. How does this not devolve into complete chaos? As your architect begins to think about the design of your systems, it is important to consider what capabilities should be centralized. You know the old saying, “Don’t reinvent the wheel?” That is basically what we are getting at. Rather than having each of your developers create different versions of the same capability, utilize a framework of reusable code that can be distributed across the multiple services within your system. This tip also applies to test automation scripts. Don’t forget to make sure your testing efforts are also supported by standard, centralized coding patterns. These patterns minimize the amount of code your team will need to create from scratch and reduces maintenance efforts down the road. A contractor who does not understand what their tools are or how to use them won’t be very successful in building a house. Similarly, without an understanding of containerization and the open source tools to manage these containers, your team won’t be nearly as successful in platform modernization. So, my recommendation is to educate your team on what containerization is and why it is beneficial. Leveraging tools such as Docker will provide your developers with everything they need to build, package and deploy their applications, regardless of the platform they are using. 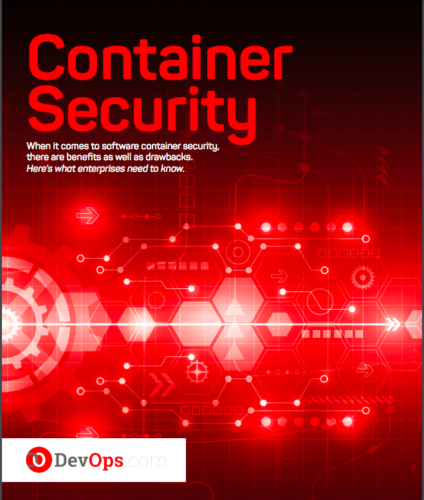 Second, ensure your teams understand how to manage their containers effectively in the cloud. Tools such as Kubernetes enable your team to flexibly deploy, manage and scale your containerized applications. Containerization enables efficient testing by allowing testers and developers to share defect observations easily, apply fixes and retest from where testers left off. Your team will be all the more prepared with a thorough understanding of containers and how to manage and leverage them. I’m sure you don’t want to go through the trouble of building out your new platform only to find it cannot handle traffic or poses potential security risks. Moving from one issue to another defeats the whole purpose of modernizing. That said, ensure your team is successful in microservices by following coding practices that encourage extensibility, maintainability and reusability. Also, be sure to build performance-focused coding practices into your design pattern. This practice includes educating your team on performance scalability, security concerns and potential performance problems. Why is that important? Well, security, performance and scalability behave differently in cloud-based platforms than in legacy applications. Designing a system with security and performance in mind will help prevent problems. That, coupled with proper training, will help your team resolve problems quickly if they do arise. If you were to Google “how to build a successful team,” you will find countless articles and self-help blogs relaying the importance of communication. It’s age-old advice, but that’s because it works. At a team level, you need to build a culture of transparency and constant communication. Integrate your development and testing teams throughout the process and ensure communication is seamless. Work moves very fast in this type of environment and the sooner a concern is identified, the sooner it can be addressed and the less rework that will have to be done later. Encouraging regular communication helps prevent team members from feeling like they need to hide mistakes or problems. Bad news only gets worse over time, so address it now and move on. With the right communication tools, developing a culture of transparency is much easier. Make sure your team knows the full range of these tool’s capabilities and use them to their maximum potential. Leveraging tools such as Jira or Slack allows your team to document workflows and quickly pull in team members who might need to help resolve a ticket. By implementing these steps, your team will be nimble and ready to move to microservices. Jeff Scott is director of development services at KMS Technology. He is a passionate, engaged leader who is focused on meeting customers’ needs and on achieving results through others. Scott began his career with State Farm in October of 1994 as a COBOL developer and has had a variety of assignments which have provided exposure to both host and web development, evolving and maturing development practices, testing and implementing new products, and championing major organizational change initiatives. His current role at KMS Technology includes leading its development practice in the US and Vietnam, providing delivery oversight for multiple clients across the country, and supporting our customer acquisition and onboarding efforts.